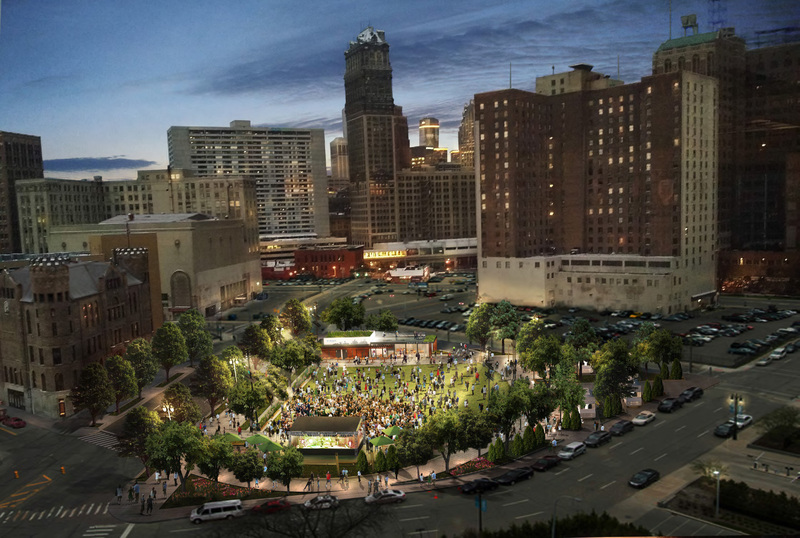 The west side of downtown Detroit, mostly surface lots and little-used buildings, will soon see one derelict lot transformed into an oasis of green space aiming to mirror the thriving scene at Campus Martius. The park would also include a restaurant and bar that could be expanded by attaching tents to the side of the building for larger events. Other project highlights include outdoor café space, entertainment spaces for live music, movies and theater, free high-speed Wi-Fi, public restrooms, gardens and green space, bike parking and open lawn area for active recreation.